"AAIA Challenges Private Ownership of Native American Art"
Editor’s Note: From their website AAIA describes itself in the following way “The Association on American Indian Affairs is the oldest non-profit serving Indian Country protecting sovereignty, preserving culture, educating youth and building capacity. The Association was formed in 1922 to change the destructive path of federal policy from assimilation, termination and allotment, to sovereignty, self-determination and self-sufficiency. Throughout its 96-year history, the Association has provided national advocacy on watershed issues that support sovereignty and culture, while working on the ground at a grassroots level with Tribes to support the implementation of programs that affect lives on the ground. The Association is headquartered in Rockville, Maryland and are governed by an all-Native American Board of Directors from across Indian country. As a membership organization, the Association speaks with unified voices from all over the country, both Native and non-Native together to protect sovereignty, preserve culture, educate youth and build capacity. “ It also notes on their site as a 501C3 non profit having been established in 2006, they are relatively young.. The article below offers a balanced look that provides the organization an opportunity to describe their mission while also trying to understand their approach. We are aware of Native Americans that are not supportive of AAIA’s efforts to repatriate even objects made for sale. In not understanding the difference between objects defined under NAGPRA and objects that provide important jobs to the Native American community, AAIA is doing more harm than good. We would suggest AAIA meet with ATADA and find some common ground to solve some of these issues. “The Association on American Indian Affairs (AAIA) is one of the oldest Native American organizations. Since 1922 it has been a voice for sovereignty and self-determination, challenging forced assimilation and oppressive institutions such as the boarding schools that attempted to eliminate Indian identity. The AAIA has now embraced a different focus for its advocacy: halting what it claims is extensive illegal trafficking of Native American art. Executive Director Shannon Keller O’Loughlin of the AAIA has set forth a policy that prior to selling Native American objects, auction houses (and presumably private sellers) must first confer with whichever of the 568 federally recognized tribes from which the objects originated. If the tribe claims that the objects were ceremonially used or communally owned, they therefore “should never have been sold” and “must have been looted.” Ownership of the objects should be transferred to the tribes. All the claims publicly raised against U.S. auction houses by the AAIA relate to objects collected decades, or even over 100 years ago. No tribe has made a legal claim to the auction-sale objects that the AAIA argues are unethical to own outside of a tribal context. Nonetheless, according to the AAIA, these “cannot be legitimately taken away from their origin communities without violating Tribal laws, and potentially violating state and federal laws.” [Association on American Indian Affairs, Press Release: RAGO Auction Withdraws Native American Cultural Heritage Scheduled for Sale, October 17, 2018.] The AAIA claims are generalized; no accusation of illegality has been made for any specific object offered for sale by a tribe. It does not appear that unless a specific tribe files a civil suit claiming superior title to an object in the Diker Collection, there is any legal claim to be made against the Met under federal or state law. The objects are loans and promised gifts, not Met possessions. Generally, the tribal laws that would apply to ceremonial objects are not codified or public. They are effective only where the tribes have jurisdiction. In any case, the AAIA is not a tribal entity and has not been delegated tribal sovereign authority by any tribe. The Met’s response was that it has “engaged regularly and repeatedly with tribal leaders in many Native American communities as part of the museum’s long-term commitment to consultation and partnerships.” The Met spokesperson also noted that the Diker exhibition had been on display for 18 months without controversy. Ms. O’Loughlin is no novice in the cultural property world. She is an attorney, and before taking on directorship of the AAIA, previously served as chief of staff for the National Indian Gaming Commission. She also holds a seat on the Cultural Property Advisory Committee (CPAC) which makes recommendations to the President on import restrictions under the Cultural Property Implementation Act. CPAC is administered by the Bureau of Educational and Cultural Affairs at the Department of State and has been criticized for its role in approving overbroad import restrictions covering virtually all cultural property from 17 nations. State Department staff from the Bureau of Educational and Cultural Affairs have recently become very active in promoting return of objects to Native American tribes, and participating in AAIA conferences. The AAIA asserts that it is a violation of ethical and due diligence standards not to seek tribal clearance for all “cultural heritage.” All sellers of Indian art should therefore be required to seek tribal review and permission to sell cultural objects, and todays’ tribes should have the authority to revisit all transactions involving Native art in order to determine whether a 19th or early 20th century Native American ought to have sold or traded an object. What “cultural objects” does the AAIA say should be subject to tribal permission for it to be owned by a private collector or sold? Most of the removed items averaged less than $500 in value each. In making its expansive claims, the AAIA has not explained why having a signature denotes that something is art rather than cultural heritage. If not being signed means that an object is cultural patrimony, then almost all of the rugs, clothing, ceramics, moccasins, tools, pipes, kachinas and other objects made for sale in the 19th and early 20th century should not be sold. (Signing artworks is a modern trend that only began under the influence of the commercial market, when the works of specific Native master potters and carvers became popular.) Nor, for that matter, is ancient, ethnographic or folk art from anywhere in the world commonly signed. The AAIA has not addressed the fact that many of the items they demanded be removed from the auction were, in fact, commercially made or that there has been a commercial market for a great variety of Indian goods since the 1880s. The Santa Fe Indian Market, which is exactly the same age as the AAIA, has been a major tourist draw and venue for sale of works by Indian artists for almost 100 years. There are inherent contradictions in the AAIA proposal to require tribal review. O’Loughlin herself has stated, both at a 2017 symposium sponsored by tribal art dealer organization ATADA and at a subsequent meeting with tribal representatives, that it is extremely offensive to tribes to be asked to identify objects as sacred, and that under no circumstances can tribes make lists of sacred objects that they consider improper to be sold. The 568 federally recognized U.S. tribes have never established a public structure for review of items. Even newly made objects may be deemed sacred by tribal elders if the tribal maker has decorated the object with patterns that the elders consider sacred or ceremonial. This last condition raises serious questions of free expression and First Amendment rights of artists, especially for objects made outside of tribal jurisdiction. These include borrowing from legal precedents established under Holocaust repatriation cases to claim that objects, although legally purchased, were actually pressured from tribal sellers who were desperate for funds. Another is asking for ownership to be transferred to tribes, but agreeing that a museum could curate the objects on behalf of tribes if tribes do not have facilities to hold them. (A number of tribes already have such relationships with museums and institutions to hold objects according to terms defined by the tribes, among them the School for Advanced Research in Santa Fe, NM and the Museum of Northern Arizona in Flagstaff, AZ.) Civil claims are another avenue for repatriation and one in which tribes have achieved significant deference from federal courts. Finally, if an object was transferred over state lines, tribes may seek federal assistance in filing a claim that an object was stolen under the National Stolen Property Act. On November 17, a tribal organization, the North American Indian Center of Boston, initially objected to an auction sale at Skinner, Inc., based upon tribal cultural patrimony claims. As it turned out, there was another avenue available to tribes to ask for temporary withdrawal of objects consigned by the Medford Public Library. The objects had been donated to the library by well-known collector James G. Swan in 1880. They included a cedar trunk and a miniature carved totem pole. Although the library did not directly receive federal funding, it is operated by the City of Medford, which does. 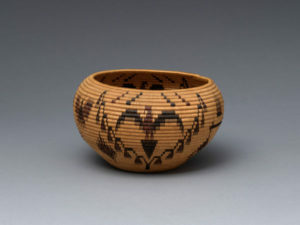 With the passage of NAGPRA in 1990, all U.S. museums and institutions receiving federal funding are required to catalog Native American items, share the cataloged information with potentially related tribes, and if the tribe seeks repatriation, to consult with the tribe and determine if repatriation is appropriate. Depending upon the analysis by the city, it may first follow NAGPRA procedures before offering the items again for sale. The AAIA’s aggressive steps against the art trade may be counterproductive, according to art market and auction representatives. ATADA, the U.S. largest organization of tribal art dealers, has gone well beyond the requirements of the law to bring important ceremonial objects back to tribes in its Voluntary Returns Program. Two years ago, ATADA adopted bylaws prohibiting its members from trading in sacred objects in current religious use among tribes. At the same time, ATADA solicited returns to tribes from art dealers and collectors that have brought over 150 sacred items to Southwestern tribes, working cooperatively with tribal spiritual leaders to ensure that each item was correctly identified and treated with respect.